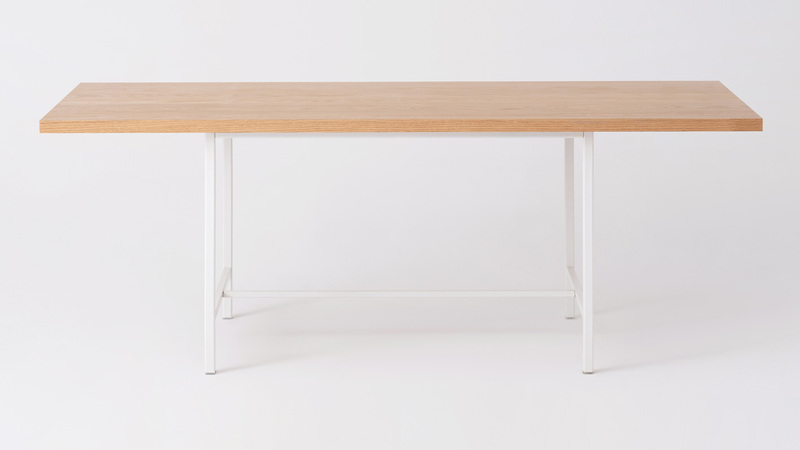 A traditional dining table with modernized proportions, available in two top sizes. The oak top is 1.5” thick and finished with a water based sealer. Wipe clean with a soft, damp cloth. Due to the nature of wood, changes in temperature and humidity may cause cracks to appear. This will not compromise the structural integrity of the product. which are known to the State of California to cause birth defects or other reproductive harm.